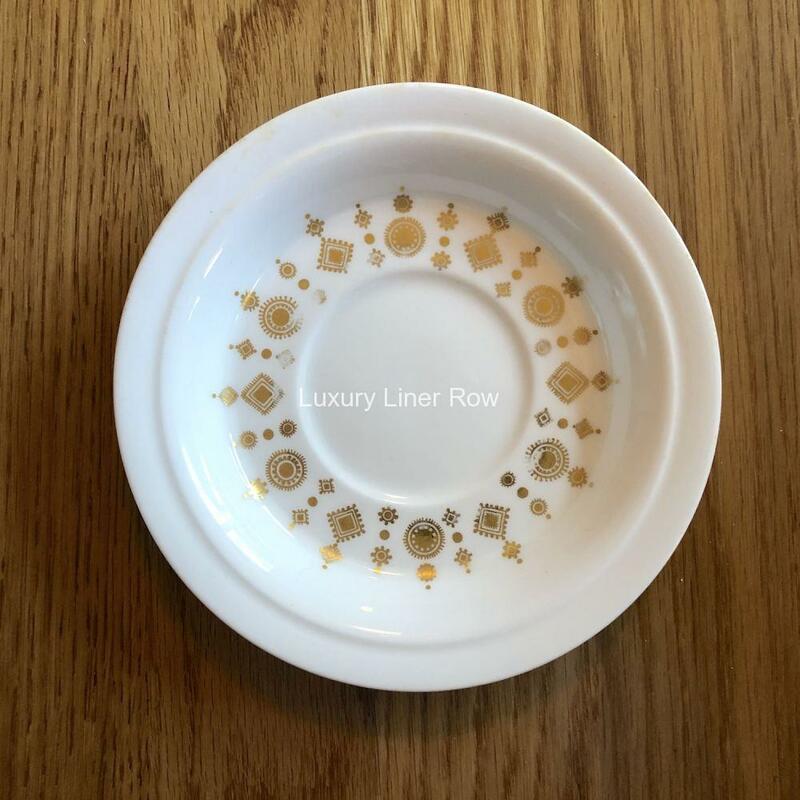 Containing a wide variety of memorabilia, particularly on the White Star Line, a lot can be learnt merely from browsing the webpages of Luxury Liner Row. Items are dispatched promptly and securely wrapped. Very early cup & saucer for Cunard’s longest-serving liner. This pattern was introduced when QE2 entered service. 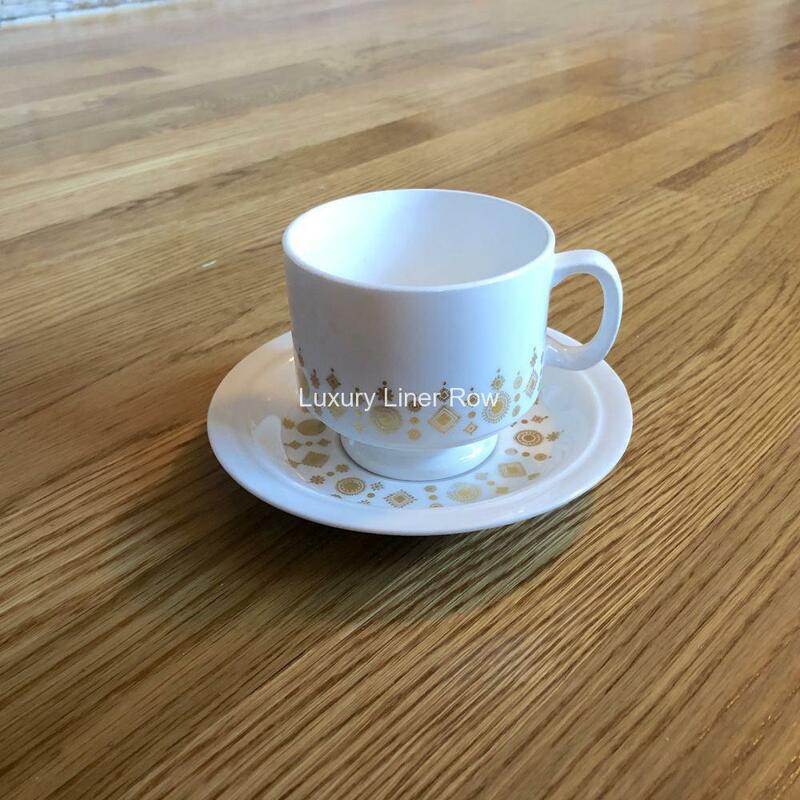 Originally, the pattern was gold leaf. 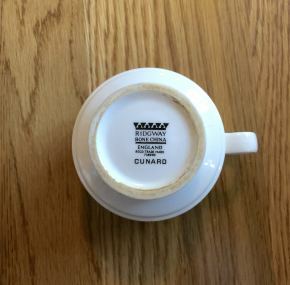 Later, to save money, Cunard began using a goldish-yellow decal for the pattern. Fortunately, both the cup and saucer are gold leafed here; so this dates to her earliest days. 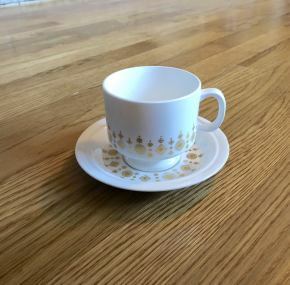 It is also a pattern of cup that I have not seen before with the pedestal base. This came from an estate in central North Carolina, and I’m assuming the person who owned it sailed on the liner and took this as a souvenir of his trip. Produced by Ridgway. The gold on the saucer is a bit worn here and there.